The Firehawk 700 Fuel Saver is the latest Firestone product specifically designed for mid & upper range saloons and coupes. As such, the FH700FS is a real 'all-rounder', combining high levels of wet and dry grip with superb manoeuvrability, high wear resistance and low rolling resistance. 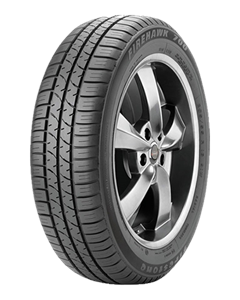 Sorry, we currently do not have any tyres with the Firehawk 700 Fuel Saver pattern in stock.